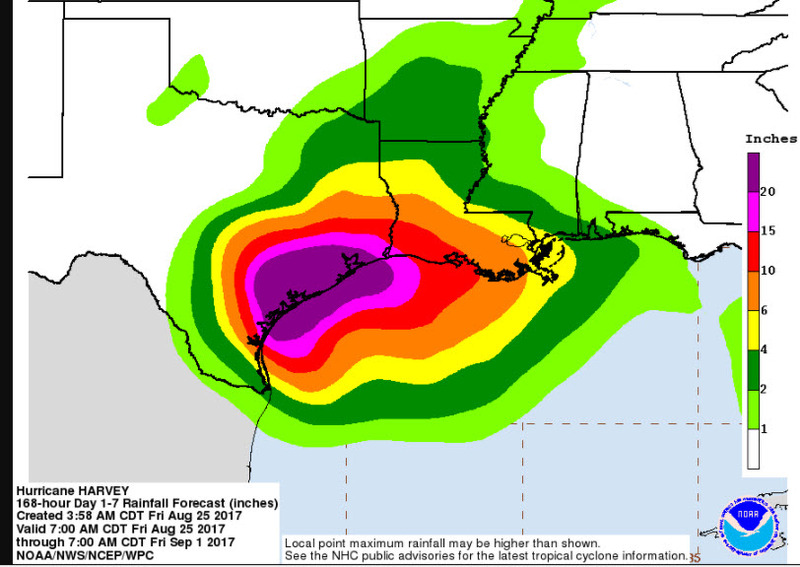 NOAA’s Weather Prediction Center is forecasting up to 20-inches of rain for Texas coastal areas over next 7 days (link). 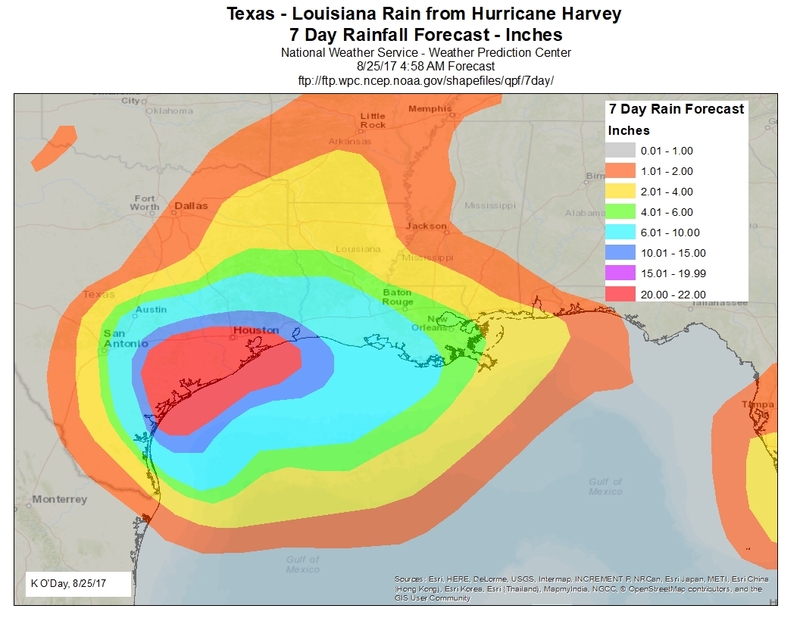 Corpus Christie and Houston are in 20+ inch total 7-day rainfall belt, New Orleans is in the 4-6 inch belt. Here’s an ArcGIS 10.3 map of the WPC forecast to show the rain belts and Texas – Louisiana cities. Best wishes to all in path of this major flooding event.